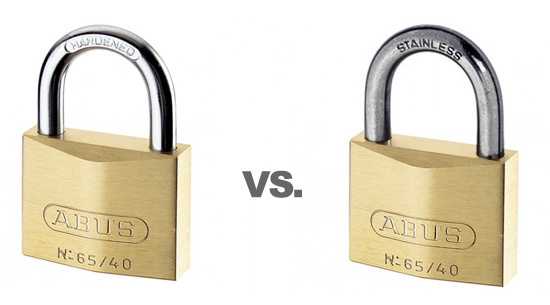 What is the difference between a padlock that uses a steel shackle and one that uses a stainless steel shackle. You sell normal brass padlocks and a marine grade brass padlocks. They look the same but what is the difference? Shackle: Stronger since hardened steel is very hard to cut. May rust over time. Shackle: Weaker since stainless steel can be cut. Will not rust.